While health and wellness are powerful targets in your refrigerated dairy foods product development efforts, indulgence presents one of the biggest growth opportunities in the U.S. Most other developed countries have long appreciated the indulgent side of dairy, dedicating large portions of refrigerated retail departments to the likes of flan, parfait and pudding. In the U.S., this is a very small section, sometimes just a shelf or two, housed alongside cookie dough and other misfit perishable products that are not dairy, eggs or juice. Now that indulgence has found a home in yogurt, it’s time to think premium refrigerated desserts. Mariano Lozano, chief executive officer, Danone North America, sat down with me during the International Dairy Foods Association’s Dairy Forum in January 2019 and explained that while lower sugar, probiotics and protein are priorities for the company, on the polar opposite end of the spectrum is indulgence, which is also an opportunity. That’s exemplified in the company’s new Oikos Oh! line. This indulgent double cream yogurt is crafted with premium ingredients and interlaced with decadent amounts of flavorful ingredients. The fruit- or sauce-on-the-bottom yogurt comes in 5.3-ounce containers in four varieties. They are: Honey Drizzled Blueberry, Lemon Sweet Cream Delight, Magnificent Mixed Berry Rhubarb and Salt-Dusted Caramel Crème. Each single-serve cup contains 210 to 220 calories, depending on variety, and 11 grams of fat, 21 grams of sugar and 7 grams of protein. 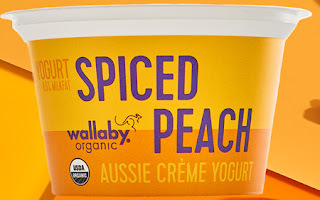 The company’s new Wallaby Organic Aussie Crème Yogurt is another indulgent option. The chef-inspired flavors--Caramelized Pineapple, Spiced Peach and Strawberry Red Wine--are the brand’s answer to a more mindful dessert without sacrificing bold flavor. The base is an 8.5%-milkfat yogurt infused with a dulce de leche flavor. Each cup contains 210 to 220 calories, 11 grams of fat, 7 grams of protein and 20 to 21 grams of sugar, of which 9 grams are added. 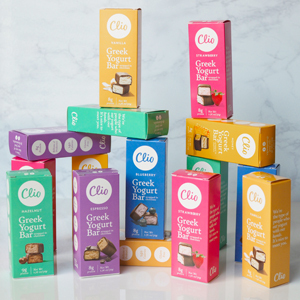 While convenience is a major selling point of new Clio Greek Yogurt Bars, the dark chocolate enrobing the yogurt elevates it to premium, indulgent status. Clio bars are uniquely positioned to bring new life to the declining spoonable yogurt category. These hand-held bars are the creation of Sergey Konchakovskiy, founder and CEO of Clio Snacks. While prepping a Greek yogurt rub for a lamb roast, Konchakovskiy put the rub in the refrigerator and forgot about it until several days later when his kids discovered the highly strained yogurt. It had developed a feta-like consistency and in an a-ha moment, he realized that this textured yogurt would be a great way to get his kids to eat yogurt, especially if it was wrapped in chocolate. To his surprise, Konchakovskiy learned that no U.S. dairy companies had the capabilities to make this yogurt bar. He leveraged his savings to purchase cheese-making equipment from Europe and after two years of learning, research and development, Clio Snacks was born. Outside of the yogurt case, there has been some recent dairy dessert activity. Raymundo’s introduced Pudding Toppers. 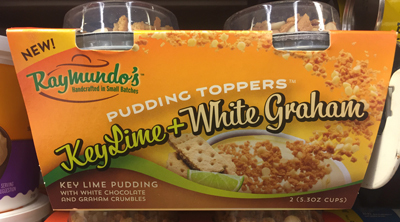 These refrigerated puddings feature a dome top that contains flavorful and crunchy mix-ins. Hand-crafted in small batches, Pudding Toppers come in five varieties. They are: Dark Chocolate Pudding with Churro Crumbles, Flan with Salted Caramel Crumbles, Key Lime Pie Pudding with White Chocolate and Pie Crumbles, Rice Pudding with Granola, and Vanilla Pudding with Chocolate Brownies. 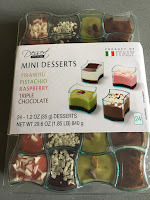 Each package includes two 5.25- to 5.4-ounce single-serve pudding cups and retails for about $2.29. 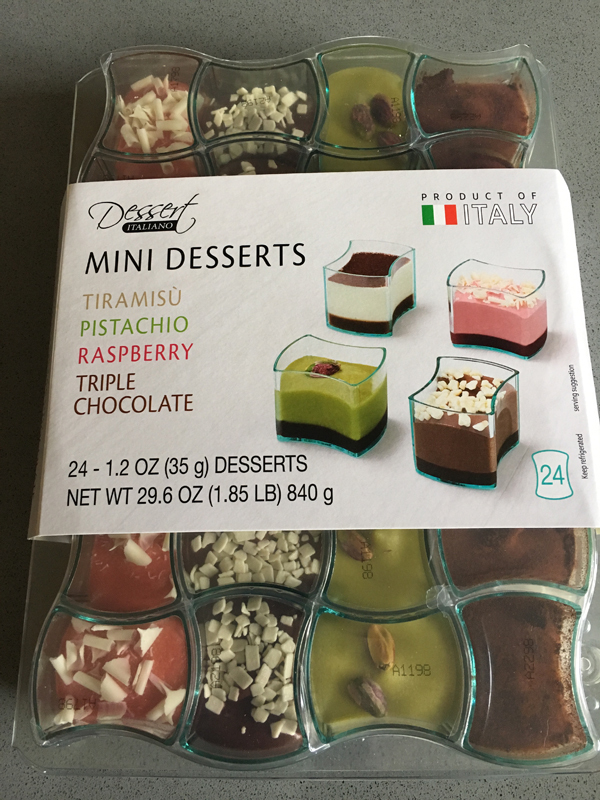 Dessert Italiano, an imported product available at Costco this past holiday season, is a box of 24 1.2-ounce mini dairy desserts. They come in single-serve plastic containers in a mix of four varieties. They are: Pistachio, Raspberry, Tiramisu and Triple Chocolate. Cheesecake Factory at Home recently introduced restaurant-inspired refrigerated parfaits. 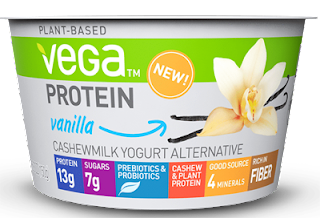 Made with whole milk and cream, one serving contains 250 to 290 calories, 12 to 13 grams of fat, 30 to 39 grams of sugar and 3 to 5 grams of protein. 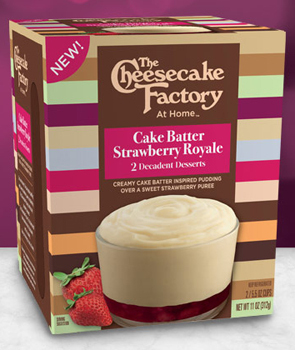 Cake Batter Strawberry Royale is creamy cake batter-flavored pudding over a sweet strawberry puree. Chocolate Black-Out is rich Belgian chocolate pudding over dark chocolate fudge sauce. Salted Caramel Delight is creamy salted caramel pudding over rich caramel sauce. Vanilla Fudge Duet is creamy vanilla bean pudding over dark chocolate fudge sauce. 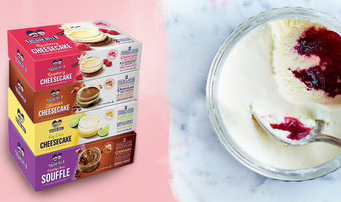 Belgian Boys is importing a range of individual dairy desserts from Belgium. They come two to a pack, in an individual-serving glass ramekin. They make claims of being non-GMO, as well as containing no artificial colors, flavors or preservatives, and are kosher certified. The desserts are distributed and merchandised frozen but intended to be served chilled. The three retail varieties are: Crunch Chocolate Souffle, Key Lime Cheesecake and Raspberry Cheesecake. There was also The Zillionaire Cheesecake, which was available during the 2018 winter holiday season at select Costco locations. This dessert is four layers of pure indulgence. Crunchy chocolate biscuits are topped with a layer of creamy, gooey salted caramel, covered with a luscious vanilla cheesecake and finished with a rich layer of real Belgian chocolate ganache. 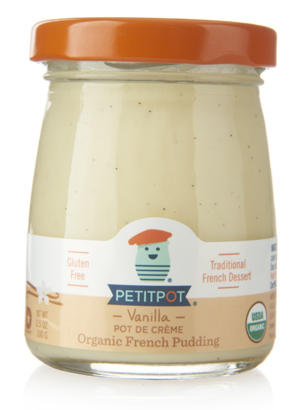 Petit Pot is a growing player in the creamy and delectable desserts category. Famous for its creamy Pot de Crème (French for delicious pudding) and Riz Au Lait (French for delicious rice pudding), as of about a year ago, Petit Pot is also now organic. The company manufactures premium, clean-label pudding that is both organic and kosher and comes in dairy and non-dairy varieties. The Pot de Crème puddings come in 3.5 ounce glass jars that retail for about $2.99. Varieties include Dark Chocolate, Lemon Curd, Madagascar Vanilla and Salted Caramel. The Riz Au Lait comes in a single-serve 4-ounce glass jar. 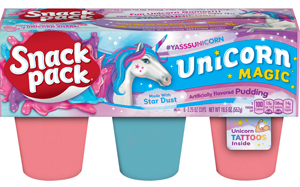 Outside of the refrigerated dairy case, yet still flagging on package labels that it’s “Made with Real Milk,” is new Snack Pack Unicorn Magic from Conagra Brands Inc. With its sweet flavor and enchanting pink and blue colors, Unicorn Magic is a bold addition to the Snack Pack shelf-stable pudding family. 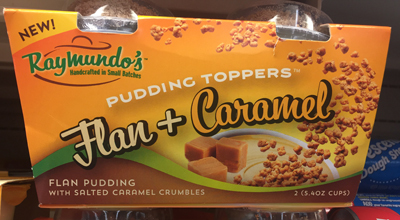 Sold in six packs, the gluten-free pudding cups are made with nonfat milk and contain 100 calories, 2.5 grams of fat, 14 grams of sugar, and no protein. Are you feeling the magical indulgence opportunity yet? 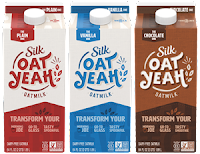 Photo source: Danone North America, Silk Oat Yeah! Your head would have to be in the sand to not know that the non-dairy/plant-based movement is here and shows no signs of slowing down. For many consumers, including more plant-based foods in the diet is about health and a sustainable balance, rather than adopting an all-or-nothing way of eating. That’s why it’s time for dairies to get on board with options that keep these shoppers buying dairy brands to keep sales in the dairy industry. Just a week ago, Danone North America, the U.S. market leader in yogurt and the world’s largest Certified B Corp, also the top plant-based producer in the U.S.--a fact that often is overlooked--announced a huge investment into plant-based food production. This is for current brands, which include Silk, So Delicious and Vega, as well as new offerings under its dairy brand portfolio. The company is formally opening a new building at its DuBois, Pennsylvania, facility to increase production of plant-based foods to meet growing consumer demand. 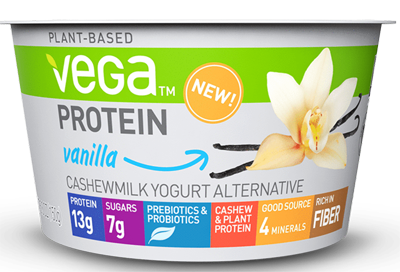 This multi-million dollar investment to expand capacity grows the already-largest production facility making plant-based yogurt alternatives in the U.S. and adds additional capabilities, creating new opportunities for the company to serve the growing flexitarian demographic. Flexitarians, people cutting down on animal protein or people following a vegetarian diet who eat meat occasionally, account for one-third of the total population in the U.S., according to a survey conducted by Foster City, Calif.-based Mattson, an independent food and beverage innovation firm. Rising sales of plant-based foods, without a corresponding increase in the number of Americans who identify as vegan or vegetarian, suggests there’s a general increase in such products among mainstream America. These consumers want to incorporate more plant-based options in their diets, while also continuing to enjoy dairy and meat, according to a phone poll of 1,033 adults conducted by Gallup in July 2018. The poll found that fewer than one in 10 Americans describe themselves as vegetarian or vegan. Only 5% identify as vegetarian and a mere 3% as vegan. These are numbers that have not changed much in the past decade or two. Who are these select few? Americans who identify as liberal are more likely to give up animal foods. Eleven percent are vegetarian and 5% vegan, vs. 2% of self-described conservatives who identify as either. They earn under $30,000 annually (9% vegetarian, a higher percentage than the two higher-income groups); are under 50 years old (8% vegetarian for 30 to 49 years old and 7% for those 18 to 29, vs. 3% for those 50 to 64 and 2% for those 65 and older). So it’s not vegetarians and vegans fueling the plant-based movement. It’s everyday folk. 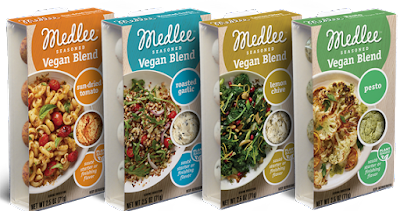 The total plant-based food category in retail is growing at 20%, compared with all food, which is growing at 2%, according to a 2018 marketplace analysis conducted by Nielsen for the Plant Based Foods Association (PBFA). The plant-based milk category was up 9% (compared to 3% the previous year), and comprises about half the total dollar volume, at $1.6 billion. 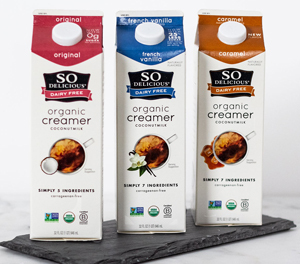 The growth in plant-based creamers has been particularly impressive--a 131% increase--with $109 million in sales. Plant-based cheeses are growing at 43%, at $124 million in sales. “The new data confirms what we are hearing and seeing every day from our members: sales are up, investment is increasing and new jobs are being created in the plant-based foods industry,” says Simon. Given this opportunity, Danone, the parent company of Danone North America, has set a broader global ambition to grow its plant-based business three times by 2025. The start of this is observed at the DuBois facility, which sits on 24 acres. The facility, with the recently announced new addition, covers a total of 180,000 square feet. “Many people who enjoy our products look for plant-based options because they are interested in lessening their impact on the environment through diet,” says Chad Stone, plant director at the DuBois facility. Dairy processors interested in entering the category should take note of some key differentiators. For starters, while the terms vegan and plant-based might appear to be interchangeable, consumers do not necessarily view them in the same way, according to the Mattson research. 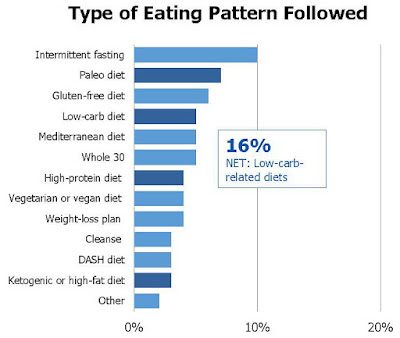 When asked which type of diet is more flexible, 79% of survey respondents chose 100% plant-based, vs. 21% for vegan. Seventy-three percent think plant-based tastes better, while 76% think plant-based has more to offer. Survey responses suggest that consumers see plant-based as a positive dietary choice, whereas following a vegan diet is seen as a lifestyle associated with serious commitment. This often includes perceived deprivation and allegiance to a cause, such as animal rights. This “positive dietary choice” mindset is fueling dairies to get on board with the plant-based movement. 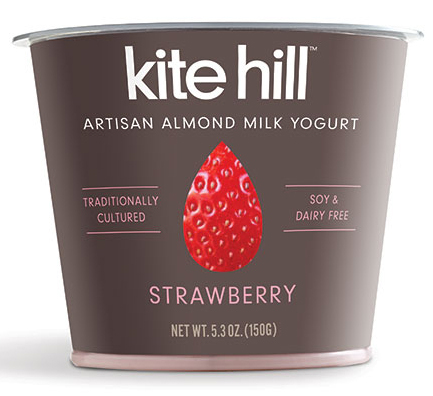 A survey conducted at the end of 2018 for Kite Hill, a plant-based food manufacturer, of more than 1,200 U.S. adults by YouGov, a global public opinion and data company, suggests that improved health and wellness is a concern for many consumers, with 40% indicating they were motivated to make a diet or lifestyle change after the holidays in light of overindulging. The pursuit of wellness was a clear indicator of consumer mindset, with the survey revealing that roughly a third (34%) of Americans would consider incorporating plant-based foods into their diet as a viable option for achieving their New Year’s health goals. This was a noticeable shift in perception regarding plant-based products, which used to be considered a very niche diet. The survey showed that an overwhelming 80% of Americans indicated that flavor is an important factor in their decision as to whether to try plant-based foods. Dairy processors know deliciousness. It’s time to get on board. Check out these 10 new products from dairy processors. They have either only been recently introduced or are getting ready to hit store shelves. Chicago-based Medlee Foods is launching four vegan blends to compliment the ompany’s seasoned butter line. The flavors are Sun-Dried Tomatoes, Roasted Garlic, Lemon Chive and Pesto, and they are packaged just like the butters, in perfectly portioned medallions. 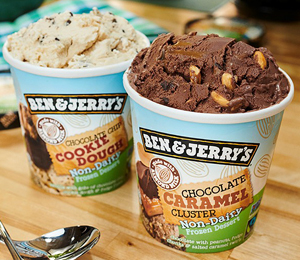 Ben & Jerry’s, a Unilever brand, is adding two new dairy-free frozen dessert pints to its lineup. 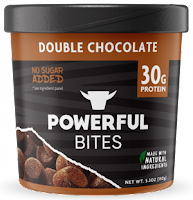 The addition of Chocolate Chip Cookie Dough and Chocolate Caramel Cluster brings the brand’s non-dairy menu up to 11 flavors, representing nearly 25% of the company’s full-time flavors. Chocolate Chip Cookie Dough is the brand’s number-one ice cream flavor and it was challenging to be recreated in a certified-vegan format. After many attempts, it’s arrived. Magnum, another Unilever brand, is rolling out new certified-vegan frozen dessert bars. Expertly crafted with non-dairy Belgian chocolate and a velvety vanilla base made with a blend of coconut oil and pea protein, Magnum Non-Dairy delivers the brand’s first-ever plant-based indulgence bar. Available in two decadent flavors, Classic and Almond, non-dairy fans can now experience the signature Magnum “crack” with each and every bite. HP Hood now offers Planet Oat Oatmilk. This new full-bodied milk alternative is naturally sweet and boasts the nutritional benefits of oats, including fiber and protein content. The beverage is not intended to mimic milk, rather, it stands on its own with a rich, creamy texture and clean flavor that may be enjoyed by the glass, in cereal, in coffee and is great for cooking. While being free from dairy, gluten, GMOs, lactose, nuts and soy, the company believes it is not as much an alternative as another beverage option and that milk users will find it appealing. Planet Oat Oatmilk comes in four flavors: Dark Chocolate, Extra Creamy, Original and Vanilla. An 8-ounce serving of all four varieties is an excellent source of calcium and vitamins A and D. Dark Chocolate is the only variety to contain added sugar. 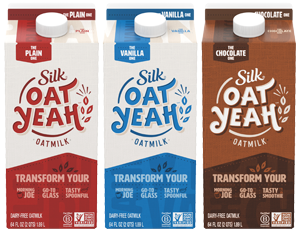 Rockview Family Farms, a 92-year-old Southern California dairy, also now offers a line of oat-based beverages. Its most popular product is the Unsweetened Oat variety. Danone North America also wants in on today’s “it” beverage. Oat beverages were recently listed among Pinterest’s top-food trends for 2019. Under Danone’s Silk brand is new Silk Oat Yeah oatmilk, which is free of dairy, soy, cholesterol and artificial colors and flavors, and is Non-GMO Project verified. Oat Yeah comes in three flavors: Chocolate, Plain and Vanilla. Chobani is getting into the plant-based category with new Non-Dairy Chobani. It is a cultured organic coconut product void of lactose and containing 25% less sugar than many non-dairy options in the marketplace. The line includes both cup and drinkable products, another differentiator in this growing space. 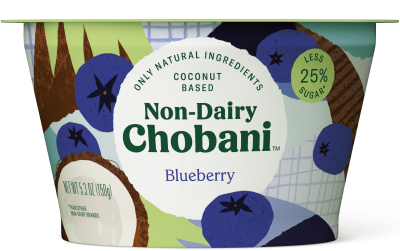 The Non-Dairy Chobani name and packaging represents Chobani’s advocacy for transparency as it pertains to better aligning food standards of identity. The company is taking a leadership role in advocating for transparency to make a clear distinction between milk-based foods and non-dairy options. Chobani believes consumers are more empowered when food companies accurately describe foods and the nutritional benefits they offer. 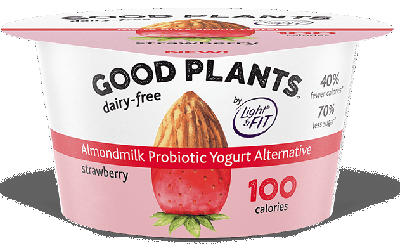 Danone North America’s newest non-dairy options include Good Plants, a yogurt-alternative based on almonds and boasts 40% fewer calories and 70% less sugar than most other almond yogurt alternatives. 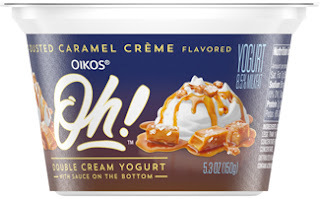 There are also two new products coming out under the company’s Oikos Greek yogurt brand. 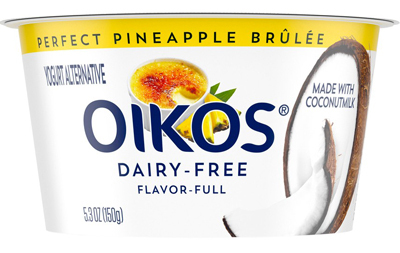 Oikos Dairy-Free is made with coconut milk and has a full-flavor, premium proposition. Oikos ProPlant features 10 grams of complete protein obtained through a proprietary mix of soy and nuts. This product will be hitting shelves this summer. Dairies are going non-dairy. It’s time to join the plant-based movement. 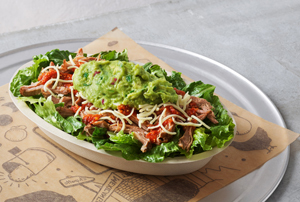 “Now more than ever, Americans are embracing new and varied approaches to healthy living and wellness,” said Chris Brandt, chief marketing officer at Chipotle Mexican Grill, earlier this year when the quick-service chain introduced its Lifestyle Bowls. The four bowl meals were added to the menu to assist patrons with their New Year’s Resolutions. The bowls contain real ingredients permitted by certain diet regimens, including keto, paleo and Whole30. There’s also a Double Protein Bowl for general low-carb diners. Chipotle is onto something. 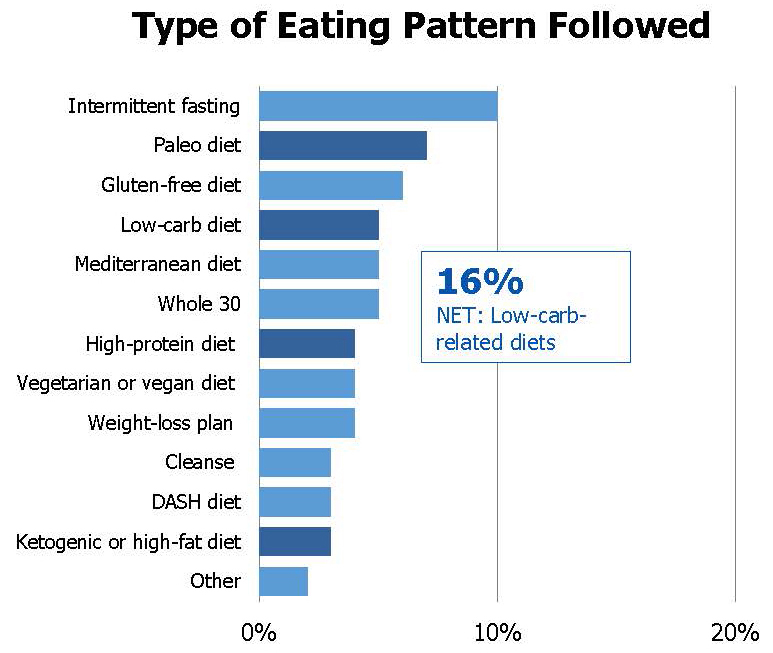 More than one in three U.S. consumers are following a specific diet or eating pattern, according to the 2018 Annual Food and Health Survey from the International Food Information Council Foundation. These lifestyle diets are expected to increase in popularity, as they are mostly followed by younger consumers (age 18 to 34). 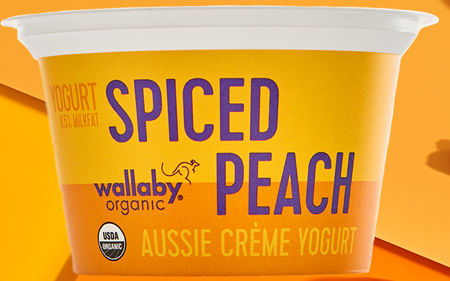 Retailers and foodservice operators recognize that this adventurous demographic is seeking out more lifestyle foods, presenting an opportunity for dairy foods processors to offer more varieties of convenient, on-the-go products. Cheese is an important part of many low-carb diets, and in recent years has taken on new shapes, sizes and forms. Cheese is also a key component of the keto diet, which is defined as being about 75% fat, 20% protein and 5% carbohydrate. There’s a higher protein version of the keto diet, where fat should be about 60% of caloric intake and protein 35%. Either one, cheese is a delicious fit and needs to be marketed as such. Americans are eating more cheese than ever before, with annual per capita consumption averaging 32.7 pounds, according to USDA. Whole-fat and high-protein foods have many proven health benefits, making cheese a delicious indulgence, yet part of a healthy diet. Cheese also makes the perfect snack for the low-carb and keto dieter, as well as the mainstream consumer looking for a quick bite that satiates. 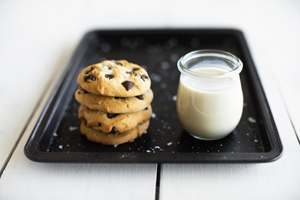 “Today and in the future, snacking is about solving small problems for consumers, and those problems present opportunities for food marketers across a variety of dayparts and needs,” said David Portalatin, food industry advisor, The NPD Group. Once seen as guilty pleasures, snack foods have and will continue to evolve to be eating occasion solutions for a nation of consumers constantly on-the-go, reports The NPD Group in its recently published Future of Snacking report. 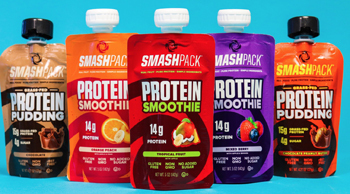 Americans consumed nearly 386 billion of ready-to-eat snack foods last year, with the vast majority of those eaten between main meals; and snack food growth is happening at most dayparts with more use at meals and as meal replacements. Only 27% of busy Americans today are eating the standard three meals a day, opting to often graze on a variety of snacks instead, according to a new national survey of 2,000 adults commissioned by Farm Rich. When eating small-plates or snack meals, the study showed that the number-one food people reach for is cheese. Almost half (49%) of respondents said they replace lunch for snack meals, with peak snacking hours between 1 and 4 p.m. The average person eats five snack meals each week. The convenience and portability of snacks--and preference for a quick bite over a big meal--has the typical American eating four snacks on the move each week. Snacks also answer the need for more fuel and energy throughout the day without taking much time. 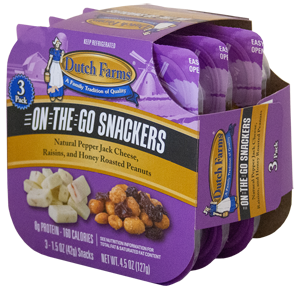 In response to consumer demand for ready-to-eat, protein-rich fuel-up convenience, Dutch Farms is rolling out On-The-Go Snackers. The 1.5-ounce multi-compartment packs are sold in three counts and come in three varieties: Pepper Jack /Honey Roasted Peanuts/Raisins, Sharp White Cheddar/Dried Cranberries/Roasted Sea Salted Almonds, and Sharp Yellow Cheddar/Cherry Infused Cranberries/Sea Salted and Roasted Cashew Pieces. Other snacking cheese formats that have experienced noteworthy growth in the past year include individually wrapped singles-serve bars, which are usually 0.75 ounces and sold in multi-packs. Many consumers enjoy this cheese format in airline clubs and on-board snack packs and then seek them out when on land. Nielsen data shows that airline volume of individually wrapped snack cheese was up 29%. Cubes, curds and cracker cuts are big, too. The latter may come in a premium package ready for serving or in an economical deli tray for the party host to display in a more personal manner. In addition to cheese, ghee is gaining traction among health- and wellness-seeking dieters. Ghee is a type of clarified butter. It originated in India and is now commonly used in Middle Eastern and Asian cuisines. Ghee is made from cow or buffalo milk butter. The butter goes through a heating process that removes the milk solids (dairy proteins and lactose). Hence, while the paleo diet is non-dairy, the absence of milk solids makes it an acceptable paleo food, an increasingly popular lifestyle eating regime. Ghee is associated with ancient Ayurvedic holistic healing practices, which has now evolved into alternative medicine for health and wellness. Ghee is recognized as having anti-inflammatory and digestion-aiding properties, among other benefits, and has become a staple of some low-carbohydrate, high-fat diets, namely keto and paleo. To read more about ghee and explore recent innovations, link HERE to “Ghee is gold in the butter-is-back trend,” an article I wrote this week for Food Business News. Carefully crafted milk beverages, ice cream and yogurt may also fit the parameters of trending lifestyle eating regimes. 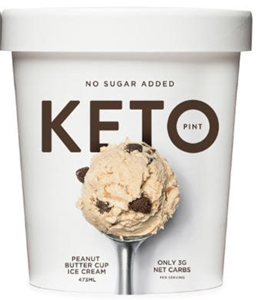 UpStar Ice Cream, for example, is rolling out Keto Pint, a line of keto diet-inspired ice creams in Butter Coffee, Chocolate, Mint Chip, Peanut Butter Cup and Sea Salt Caramel flavors. A half-cup serving contains 140 to 160 calories, 12 to 14 grams of fat, 2 to 4 grams of fiber, 3 to 5 grams of protein and no added sugars. Peak Yogurt markets a keto-friendly Triple Cream Yogurt, which has 17% milkfat. A 5-ounce cup of plain unsweetened contains 270 calories, 24 grams of fat, 8 grams of protein and a mere 4 grams of total carbohydrates (solely from inherent lactose). The two flavored options--Strawberry and Vanilla--are low-carb and “keto-ish” with 260 or 270 calories, 21 to 22 grams of fat, 7 grams of protein, and 10 to 11 grams of sugar. The latter comes from the inherent lactose as well some added cane sugar. Remember, cheese naturally complements lifestyle eating regimes such as keto and low-carb, while ghee is the only dairy-derived food accepted by paleo dieters. Other dairy foods may be designed to participate in trending diet plans. Let’s keep dairy on the menu.